Aswinas Travel & Tours was established in year 2003. We are formally known as KP Subesthiyan Enterprise. We are currently based in the heart of Subang Jaya, Selangor, about 20km from Kuala Lumpur city, and 50km away from Kuala Lumpur International Airport (KLIA1). Our clientele are not only the locals, but we also serve expatriates, corporate groups and tourists from both local and overseas. We always strive to meet their expectations by offering the best travel solutions. 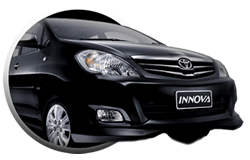 As of now, Aswinas vehicles that are comprises of cars, MPV's, Passenger Vans and Commercial/ Panel Vans . Our vehicles are regularly serviced and maintained to assure our valuable customers' peace of mind when it comes to comfort and pleasurable driving experiences. Our drivers are highly trained and experienced in offering the best possible service to our customers. “Punctuality” and “Friendly Service” are the key priorities in our service. 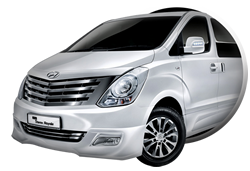 Aswinas Van Rental provides a fleet of economical to luxurious vans and cars to accommodate your travel budget and needs. Our service include a 24 hours vehicle delivery and collection for your convenience. We also offer chauffeur service, airport transfers and group tour packages. Rent from us now!